Hayao Miyazaki[ pronunciation? ](宮崎 駿,Miyazaki Hayao, born January 5, 1941) is a Japanese animator, filmmaker, screenwriter, author, and manga artist. A co-founder of Studio Ghibli, a film and animation studio, he has attained international acclaim as a masterful storyteller and as a maker of anime feature films, and is widely regarded as one of the greatest animation filmmakers. Studio Ghibli, Inc. is a Japanese animation film studio based in Koganei, Tokyo, Japan. The studio is best known for its anime feature films, and has also produced several short films, television commercials, and one television film. It was founded on 15 June 1985, after the success of Nausicaä of the Valley of the Wind (1984), with funding by Tokuma Shoten. Studio Ghibli has also collaborated with video game studios on the visual development of several video games. Born in Bunkyō Ward of Tokyo, Miyazaki expressed interest in manga and animation from an early age, and he joined Toei Animation in 1963. During his early years at Toei Animation he worked as an in-between artist and later collaborated with director Isao Takahata. Notable films to which Miyazaki contributed at Toei include Doggie March and Gulliver's Travels Beyond the Moon . He provided key animation to other films at Toei, such as Puss in Boots and Animal Treasure Island , before moving to A-Pro in 1971, where he co-directed Lupin the Third Part I alongside Takahata. After moving to Zuiyō Eizō (later known as Nippon Animation) in 1973, Miyazaki worked as an animator on World Masterpiece Theater , and directed the television series Future Boy Conan . He joined Telecom Animation Film/Tokyo Movie Shinsha in 1979 to direct his first feature films, The Castle of Cagliostro in 1979 and Nausicaä of the Valley of the Wind in 1984, as well as the television series Sherlock Hound . Bunkyō is a special ward located in Tokyo, Japan. Situated in the middle of the ward area, Bunkyō is a residential and educational center. Beginning in the Meiji period, literati like Natsume Sōseki, as well as scholars and politicians have lived there. Bunkyō is home to the Tokyo Dome, Judo's Kōdōkan, and the University of Tokyo's Hongo Campus. Bunkyō has a sister-city relationship with Kaiserslautern in the Rhineland-Palatinate of Germany. Miyazaki co-founded Studio Ghibli in 1985. 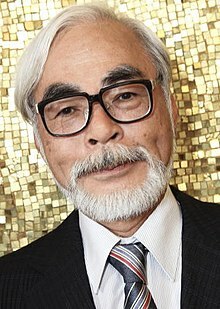 He directed multiple films with Ghibli, including Castle in the Sky in 1986, My Neighbor Totoro in 1988, Kiki's Delivery Service in 1989, and Porco Rosso in 1992. The films were met with commercial and critical success in Japan. 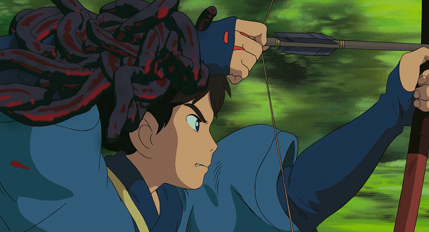 Miyazaki's film Princess Mononoke was the first animated film to win the Japan Academy Prize for Picture of the Year, and briefly became the highest-grossing film in Japan following its release in 1997; [lower-alpha 1] its distribution to the Western world greatly increased Ghibli's popularity and influence outside Japan. His 2001 film Spirited Away became the highest-grossing film in Japanese history, winning the Academy Award for Best Animated Feature at the 75th Academy Awards and considered among the greatest films of the decade. 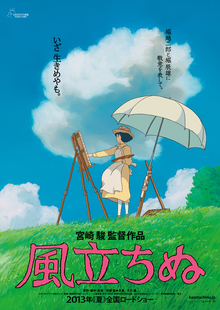 Miyazaki's later films— Howl's Moving Castle , Ponyo , and The Wind Rises —also enjoyed critical and commercial success. 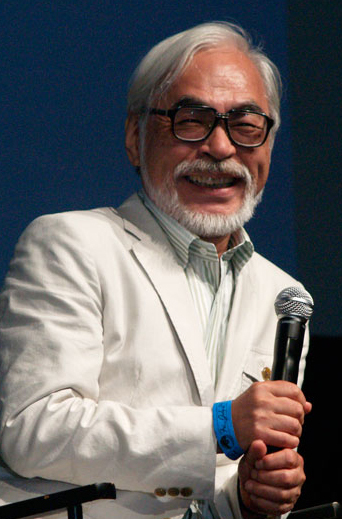 Following the release of The Wind Rises, Miyazaki announced his retirement from feature films, though he returned to work on a new feature film in 2016. 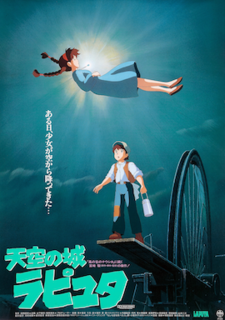 Castle in the Sky, known as Laputa: Castle in the Sky in Europe and Australia, is a 1986 Japanese animated steampunk fantasy-adventure film written and directed by Hayao Miyazaki. It was the very first film animated by Studio Ghibli and was animated for Tokuma Shoten. It follows the adventures of a young boy and girl attempting to keep a magic crystal from a group of military agents, while searching for a legendary floating castle. The film was distributed by Toei Kabushiki Kaisha. My Neighbor Totoro is a 1988 Japanese animated fantasy film written and directed by Hayao Miyazaki and animated by Studio Ghibli for Tokuma Shoten. The film—which stars the voice actors Noriko Hidaka, Chika Sakamoto, and Hitoshi Takagi—tells the story of the two young daughters of a professor and their interactions with friendly wood spirits in postwar rural Japan. The film won the Animage Anime Grand Prix prize and the Mainichi Film Award and Kinema Junpo Award for Best Film in 1988. It also received the Special Award at the Blue Ribbon Awards in the same year. Kiki's Delivery Service is a 1989 Japanese animated coming-of-age fantasy film written, produced, and directed by Hayao Miyazaki as an adaptation of the 1985 novel of the same name by Eiko Kadono. It was animated by Studio Ghibli for Tokuma Shoten, Yamato Transport and the Nippon Television Network and distributed by the Toei Company. The film tells the story of a young witch, Kiki, who moves to a new town and uses her flying ability to earn a living. 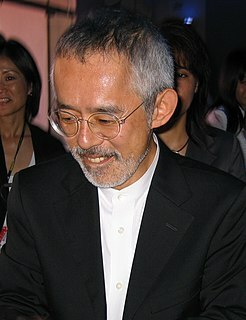 According to Miyazaki, the movie portrays the gulf between independence and reliance in teenage Japanese girls. Person of Cultural Merit is an official Japanese recognition and honor which is awarded annually to select people who have made outstanding cultural contributions. This distinction is intended to play a role as a part of a system of support measures for the promotion of creative activities in Japan. By 1999, 576 people had been selected as Persons of Cultural Merit. Katsuji Miyazaki was a Japanese aeronautical engineer living near Tokyo, Japan. He was the director of family firm Miyazaki Airplane during World War II and later transitioned his engineering career from airplane to vehicle parts manufacturing working for Toyo Radiator Company, Limited, now known as T.RAD. Miyazaki Airplane was an aircraft parts manufacturing company based in Japan during World War II. The company owned a factory located in Kanuma, Tochigi, Japan, that manufactured parts, including rudders, for the Mitsubishi A6M Zero. During the war, the firm relocated to Utsunomiya, Tochigi, Japan. Shortly thereafter on July 12, 1945, there was an air raid on the city of Utsunomiya which left 43.7% of the city destroyed. Panda and the Magic Serpent, also known as The Tale of the White Serpent, is the first color anime feature film, released in 1958. It was one of the first three anime films to be released in America, under the title Panda and the Magic Serpent, premiering in 1961, the month after Magic Boy. It is also known variously as Legend of the White Snake, The Great White Snake and The White Snake Enchantress. Gakushūin University is a private university in Mejiro, Toshima Ward, Tokyo. It was re-established after World War II as an affiliate of the Gakushūin School Corporation. The privatized successor to the original Gakushūin University was established during the Meiji period to educate the children of the Japanese nobility. It is still one of the most prestigious universities in Japan, counting most of the members of the present Imperial Family among its former or present students. The average number of students is capped so that each student can receive personal attention from the staff. Miyazaki first worked with Isao Takahata in 1964, spawning a lifelong collaboration and friendship. Miyazaki opened his own personal studio in 1984, named Nibariki. Miyazaki used 3D rendering in Princess Mononoke (1997) to create writhing "demon flesh" and composite them onto the hand-drawn characters. Approximately five minutes of the film uses similar techniques. Miyazaki at the 2009 San Diego Comic-Con. "If you don't spend time watching real people, you can't do this, because you've never seen it. Some people spend their lives interested only in themselves. Almost all Japanese animation is produced with hardly any basis taken from observing real people ... It's produced by humans who can't stand looking at other humans. And that's why the industry is full of otaku !" Isao Takahata was a Japanese film director, screenwriter and producer. In 1985, he co-founded Studio Ghibli with his long-time collaborative partner Hayao Miyazaki and Miyazaki's collaborators Toshio Suzuki and Yasuyoshi Tokuma. 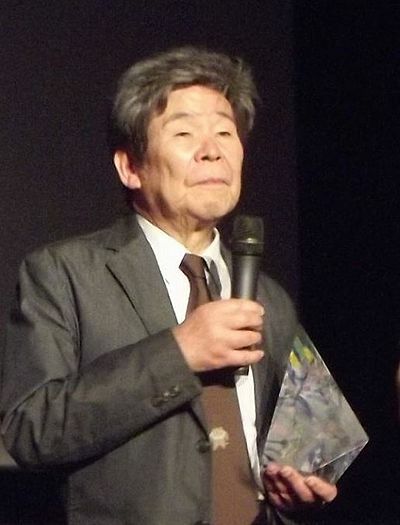 Takahata earned critical international acclaim for his work as a director of anime films, among them Grave of the Fireflies (1988), Only Yesterday (1991), Pom Poko (1994), and My Neighbors the Yamadas (1999). His last film as director was The Tale of the Princess Kaguya (2013), which was nominated for an Oscar in the category of Best Animated Feature Film at the 87th Academy Awards. The history of anime can be traced back to the start of the 20th century, with the earliest verifiable films dating from 1917. Ghibli Experimental Theater On Your Mark is an animated music video created by Studio Ghibli for the song "On Your Mark" by the Japanese rock duo Chage & Aska. The song was released in 1994 as part of the single "Heart". In 1995, Hayao Miyazaki wrote and directed the short film for the song as a side-project after having writer's block with Princess Mononoke. The anime music video is non-linear, providing multiple reiterations and alternate scenes to depict the events. The music video added sound effects to the audio track, but contains no dialogue. Miyazaki purposely misinterpreted the lyrics to present his vision of a world where the surface becomes inhospitable and humans live in an underground city. He made the video cryptic to evoke creative interpretations among viewers. Toshio Suzuki is a film producer of anime and a long-time colleague of Hayao Miyazaki, as well as the former president of Studio Ghibli. Suzuki is renowned as one of Japan's most successful producers after the enormous box office success of many Ghibli films. Nausicaä of the Valley of the Wind is a manga by Japanese anime director Hayao Miyazaki that ran from 1982 to 1994. It tells the story of Nausicaä, a princess of a small kingdom on a post-apocalyptic Earth with a bioengineered ecological system, who becomes involved in a war between kingdoms while an environmental disaster threatens humankind. Kitarō Kōsaka is a Japanese animator and film director. Nausicaa.net is an English-language fan website established in 1996 to contain information discussed on the Miyazaki Mailing List and to be a general resource for information regarding Hayao Miyazaki, Isao Takahata, Studio Ghibli, and related topics. It is named after one of Miyazaki's films, Nausicaä of the Valley of the Wind. Nausicaä is a fictional character from Hayao Miyazaki's science fiction manga series Nausicaä of the Valley of the Wind and his anime film of the same name. Her story is set in the future on a post-apocalyptic Earth, where Nausicaä is the princess of the Valley of the Wind, a minor kingdom. She assumes the responsibilities of her ill father and succeeds him to the throne over the course of the story. Fueled by her love for others and for life itself, Nausicaä studies the ecology of her world to understand the Sea of Corruption, a system of flora and fauna which came into being after the Seven Days of Fire. Hiromasa Yonebayashi, nicknamed Maro, is a Japanese animator and director, formerly for Studio Ghibli. After his directorial debut with Studio Ghibli, he became the youngest director of a theatrical film produced by the studio. He was nominated for the Academy Award for Best Animated Feature in 2015 for his second film, When Marnie Was There. Studio Ghibli is a Japanese animation film studio founded in 1985. 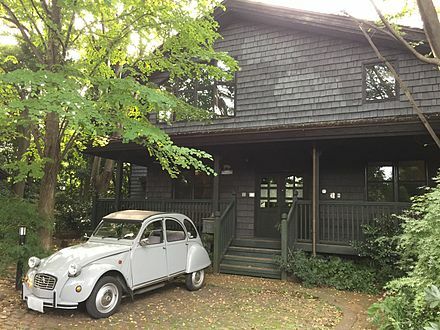 In addition to producing 18 feature films, the studio has produced several short films, including commercials, films for the Ghibli Museum, music videos, and works released directly to video. Topcraft was a Japanese anime studio established in 1971 by former Toei Animation producer Toru Hara. It was famous for doing animation for hand-drawn animation titles by Rankin/Bass and for the production of Nausicaä of the Valley of the Wind and Macross: Do You Remember Love?. The studio went bankrupt and dissolved in June 15, 1985 essentially splitting the studio in half. Hayao Miyazaki, Toshio Suzuki and Isao Takahata bought the studio while laying off most of its animation staff, changing its name to Studio Ghibli.. Topcraft's animators later formed another studio called Pacific Animation Corporation to continue to work with Rankin/Bass on shows like ThunderCats and Silverhawks but eventually joined Ghibli once the studio was bought out by Disney and became Walt Disney Animation Japan. Some animators like Tsuguyuki Kubo went to work for other anime studios such as Studio Pierrot working on Naruto and Bleach for them. In the end the buy out of Topcraft made the studio into the birth of Studio Ghibli. Topcraft's founder Toru Hara became Studio Ghibli's first manager. The Wind Rises is a 2013 Japanese animated historical drama film written and directed by Hayao Miyazaki, animated by Studio Ghibli for the Nippon Television Network, Dentsu, Hakuhodo DY Media Partners, Walt Disney Japan, Mitsubishi, Toho and KDDI and distributed by Toho. It was released on 20 July 2013, in Japan, and was released in North America on 21 February 2014 under Disney's adult movie brand Touchstone Pictures. Michiyo Yasuda was an animator and colour designer who worked for Toei Animation, A Production, Nippon Animation, Topcraft, and Studio Ghibli. Her designs were used by directors such as Isao Takahata, Hayao Miyazaki and Mamoru Oshii. During a career spanning five decades in the animation industry, she worked on animated feature films and short films for theatrical release, original video animation (OVA), promotional music videos, animated television series, documentaries and commercials. Yasuda provided the colour designs for Miyazaki's Academy Award winning animated film Spirited Away. She officially retired after working on Ponyo in 2008, but worked on the Academy Award nominated animated feature The Wind Rises, released in July 2013. People of the Desert or The Desert Tribe is a comic strip written and illustrated by Hayao Miyazaki. It was serialized, under the pseudonym Akitsu Saburō (秋津三朗), and ran in Boys and Girls Newspaper between September 12, 1969 and March 15, 1970. 1 2 3 4 5 6 7 8 9 10 11 12 13 Nausicaa.net 1994. 1 2 3 McCarthy 1999, p. 26. 1 2 3 Miyazaki 1988. 1 2 3 McCarthy 1999, p. 27. ↑ Miyazaki 1996, p. 193. 1 2 McCarthy 1999, p. 28. ↑ Comic Box 1982, p. 80. ↑ Miyazaki 1996, p. 436. ↑ McCarthy 1999, p. 29. ↑ Miyazaki 1996, p. 200. 1 2 3 McCarthy 1999, p. 30. ↑ Batkin 2017, p. 141. ↑ McCarthy 1999, p. 217. ↑ LaMarre 2009, pp. 56ff. 1 2 Miyazaki 1996, p. 438. ↑ Miyazaki 1996, p. 194. ↑ McCarthy 1999, p. 219. 1 2 Comic Box 1982, p. 111. ↑ McCarthy 1999, p. 27, 219. 1 2 McCarthy 1999, p. 220. 1 2 McCarthy 1999, p. 39. ↑ McCarthy 1999, p. 221. 1 2 Miyazaki 1996, p. 440. 1 2 Miyazaki 1996, p. 441. ↑ McCarthy 1999, p. 223. ↑ McCarthy 1999, p. 50. ↑ McCarthy 1999, p. 225. ↑ Miyazaki 1983, p. 147. 1 2 Kanō 2006, p. 324. ↑ McCarthy 1999, p. 163. ↑ Miyazaki 1996, p. 146. ↑ Miyazaki 2007, p. 146. ↑ McCarthy 1999, p. 73—74. 1 2 Saitani 1995, p. 9. ↑ Miyazaki 1996, p. 442. 1 2 Miyazaki 1996, p. 443. 1 2 Cavallaro 2006, p. 47. ↑ McCarthy 1999, p. 75. ↑ McCarthy 1999, pp. 77. 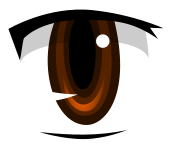 ↑ Kanō 2006, pp. 65–66. ↑ Osmond 1998, pp. 57–81. ↑ Cavallaro 2006, p. 48. ↑ Nakamura & Matsuo 2002, p. 73. ↑ Napier 1998, p. 101. 1 2 McCarthy 1999, p. 89. 1 2 Cavallaro 2006, p. 58. 1 2 Cavallaro 2006, p. 68. ↑ Cavallaro 2006, p. 70. ↑ Miyazaki 2006, p. 12. 1 2 3 4 Cavallaro 2006, p. 96. 1 2 3 Akimoto 2014. ↑ Cavallaro 2006, p. 104. ↑ Cavallaro 2006, p. 105. 1 2 Cavallaro 2006, p. 114. ↑ McCarthy 1999, pp. 211. ↑ Cavallaro 2006, p. 113. ↑ Cavallaro 2006, p. 112. 1 2 Cavallaro 2006, p. 127. ↑ McCarthy 1999, p. 186. 1 2 McCarthy 1999, p. 203. ↑ Cavallaro 2006, p. 126. 1 2 Cavallaro 2006, p. 120. ↑ CBS News 2014, p. 15. 1 2 Cavallaro 2006, p. 32. ↑ Cavallaro 2006, p. 121. 1 2 3 Tasker 2011, p. 292. 1 2 Reider 2005, p. 9. 1 2 3 4 5 Cavallaro 2006, p. 157. ↑ Cavallaro 2006, p. 167. ↑ Cavallaro 2006, p. 168. 1 2 Cavallaro 2015, p. 145. ↑ Cavallaro 2006, p. 165. ↑ Miyazaki 2009, pp. 398–401. 1 2 Miyazaki 2013, p. 16. 1 2 Anime News Network 2009. ↑ Cavallaro 2014, p. 183. ↑ Anime News Network 2014b. 1 2 3 Keegan 2013. ↑ Newtype 2011, p. 93. 1 2 Anime News Network 2014a. ↑ CBS News 2014, p. 24. ↑ The Birth of Studio Ghibli 2005, 24:47. 1 2 Anime News Network 2017. ↑ Anime News Network 2013b. 1 2 3 4 5 6 7 8 9 10 11 12 13 14 15 Schellhase 2014. ↑ Loy & Goodhew 2004, p. 68. ↑ Reinders 2016, p. 181. ↑ Miyazaki 2002, p. 15. ↑ Loy & Goodhew 2004. 1 2 The Birth of Studio Ghibli 2005, 22:05. 1 2 3 4 Mes 2002. 1 2 3 4 Andrews 2005. ↑ Cavallaro 2014, p. 55. 1 2 The Japan Times 2006. ↑ Hamessley & London 2010. 1 2 3 4 Animations 2008. 1 2 3 4 Cavallaro 2006, p. 183. 1 2 3 4 5 6 Cavallaro 2006, p. 184. ↑ Cavallaro 2006, p. 185. ↑ Kinema Junpo Movie Database. ↑ The Japan Times 2014. ↑ International Animated Film Association 1998. ↑ Transilvania International Film Festival. Accomando, Beth (May 29, 2009). "Interview with Up Director Peter Docter". KPBS Public Media . San Diego State University. Archived from the original on May 22, 2017. Retrieved May 22, 2017. Akagawa, Roy (September 6, 2013). "Excerpts of Hayao Miyazakis news conference announcing his retirement". Asahi Shimbun . Archived from the original on September 7, 2013. Retrieved March 31, 2017. Akimoto, Daisuke (September 2, 2013). "Miyazaki's new animated film and its antiwar pacifism: The Wind Rises (Kaze Tachinu)". Ritsumeikan Journal of Asia Pacific Studies. 32: 165–167. Akimoto, Daisuke (October 1, 2014). Ratelle, Amy (ed.). "A Pig, the State, and War: Porco Rosso (Kurenai no Buta)". Animation Studies. Society for Animation Studies. 9. Archived from the original on March 18, 2017. Retrieved March 18, 2017. Andrews, Nigel (September 20, 2005). "Japan's visionary of innocence and apocalypse". Financial Times . The Nikkei. Archived from the original on May 22, 2017. Retrieved May 22, 2017. "ナウシカの道 連載 1 宮崎駿・マンガの系譜" [The Road to Nausicaä, episode 1, Hayao Miyazaki’s Manga Genealogy]. Animage (in Japanese). Tokyo: Tokuma Shoten (61): 172–173. June 10, 1983. "宮崎駿Xピーター・ロードXデイビッド・スプロスクトンat三鷹の森ジブリ美術館". Animage (in Japanese). Tokyo: Tokuma Shoten (338): 13. August 2006. "毎日映画コンクール" [Everyday Movie Competition] (in Japanese). Animations. 2008. Archived from the original on June 3, 2017. Retrieved June 4, 2017. "Miyazaki Starts New Manga, Kaze Tachinu". Animekon. February 12, 2009. Archived from the original on March 30, 2017. Retrieved March 31, 2017. "Animage Top-100 Anime Listing". Anime News Network. January 16, 2001. Archived from the original on March 16, 2017. Retrieved March 16, 2017. "Studio Ghibli to Split from Tokuma". Anime News Network. February 11, 2005. Archived from the original on March 24, 2017. Retrieved March 24, 2017. "Ponyo, DMC Won Japan Academy Awards on Friday". Anime News Network. February 23, 2009. Archived from the original on March 30, 2017. Retrieved March 31, 2017. "Hayao Miyazaki Retires From Making Feature Films". Anime News Network. September 1, 2013. Archived from the original on March 30, 2017. Retrieved March 31, 2017. "Hayao Miyazaki's Post-Retirement Samurai Manga Previewed on TV". Anime News Network. November 19, 2013. Archived from the original on March 30, 2017. Retrieved March 31, 2017. "Miyazaki's The Wind Rises Nominated for Animated Film Oscar (Updated)". Anime News Network. January 17, 2014. Archived from the original on March 30, 2017. Retrieved March 31, 2017. "Producer: Miyazaki Wanted to Make 'Ponyo 2' Instead of The Wind Rises". Anime News Network. March 2, 2014. Archived from the original on March 30, 2017. Retrieved March 31, 2017. "Ghibli's Hayao Miyazaki Reveals His 'Final' Film's Title, Release Window". Anime News Network. October 28, 2017. Archived from the original on November 2, 2017. Retrieved November 2, 2017. "Hayao Miyazaki & Son Reportedly Working On 2 New Studio Ghibli Movies, Release Window". Screen Rant. January 24, 2019. Archived from the original on January 26, 2019. Retrieved January 26, 2019. Armitage, Hugh (November 21, 2012). 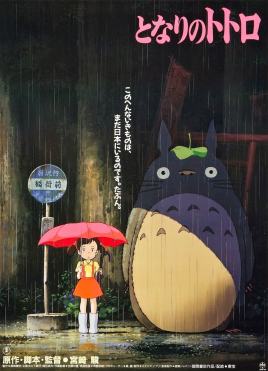 "Studio Ghibli unveils two films 'The Wind Rises', 'Princess Kaguya'". Digital Spy . Hearst Communications. Archived from the original on March 30, 2017. Retrieved March 31, 2017. Ashcraft, Brian (September 10, 2013). "Visit the Real Princess Mononoke Forest". Kotaku . Gawker Media. Archived from the original on March 18, 2017. Retrieved March 19, 2017. Batkin, Jane (2017). Identity in Animation: A Journey Into Self, Difference, Culture and the Body. Abingdon-on-Thames: Taylor & Francis. ISBN 978-1-3175-3325-2. Ashcraft, Brian (October 13, 2015). "Hayao Miyazaki Is One Tough Critic". Kotaku . Gawker Media. Archived from the original on March 17, 2018. Retrieved March 17, 2018. Ball, Ryan (August 25, 2008). "Miyazaki's Ponyo Hits B.O. Milestone". Animation Magazine . Archived from the original on March 30, 2017. Retrieved March 30, 2017. Baseel, Casey (January 30, 2014). "Ghibli's Hayao Miyazaki says the anime industry's problem is that it's full of anime fans". RocketNews24. Socio Corporation. Archived from the original on April 3, 2017. Retrieved April 3, 2017. Baseel, Casey (December 12, 2014). "Hayao Miyazaki reveals the kind of otaku he hates the most". RocketNews24. Socio Corporation. Archived from the original on April 3, 2017. Retrieved April 3, 2017. Bellot, Gabrielle (October 19, 2016). "Hayao Miyazaki and the Art of Being a Woman". The Atlantic . Atlantic Media. Archived from the original on May 8, 2017. Retrieved May 8, 2017. Blum, Jeremy (August 13, 2013). "Animation legend Hayao Miyazaki under attack in Japan for anti-war film". South China Morning Post . Alibaba Group. Archived from the original on March 18, 2017. Retrieved March 18, 2017. Brooks, Xan (September 15, 2005). "A god among animators". The Guardian . Guardian Media Group. Archived from the original on March 17, 2017. Retrieved March 17, 2017. Brzeski, Patrick (October 24, 2014). "John Lasseter Pays Emotional Tribute to Hayao Miyazaki at Tokyo Film Festival". The Hollywood Reporter . Eldridge Industries. Archived from the original on May 22, 2017. Retrieved May 22, 2017. Calvario, Liz (August 3, 2016). "Studio Ghibli: The Techniques & Unimaginable Work That Goes Into Each Animation Revealed". IndieWire . Penske Media Corporation. Archived from the original on May 22, 2017. Retrieved May 22, 2017. Cappello, Daniel (January 10, 2005). "The Animated Life". The New Yorker . Condé Nast. Archived from the original on May 24, 2006. Retrieved May 4, 2017. Cavallaro, Dani (January 24, 2006). The Animé Art of Hayao Miyazaki. Jefferson, NC: McFarland & Company. ISBN 978-0-7864-2369-9. Cavallaro, Dani (November 28, 2014). The Late Works of Hayao Miyazaki: A Critical Study 2004–2013. Jefferson, NC: McFarland & Company. ISBN 978-0-7864-9518-4. Cavallaro, Dani (March 2, 2015). Hayao Miyazaki's World Picture. Jefferson, NC: McFarland & Company. ISBN 978-0-7864-9647-1. "Oscars honors animator Hayao Miyazaki". CBS News . CBS. November 8, 2014. Archived from the original on March 18, 2017. Retrieved March 19, 2017. Castro, Adam-Troy (December 14, 2012). "Legendary animator Miyazaki reveals Ponyo's inspirations". Sci Fi Wire . Syfy. Archived from the original on March 27, 2017. Retrieved March 27, 2017. 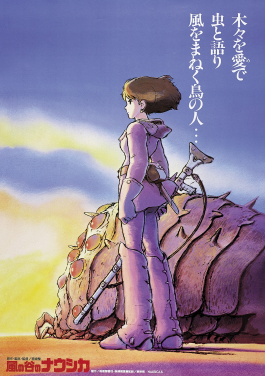 特集宮崎駿 「風の谷のナウシカ」1[Special Edition Hayao Miyazaki Nausicaa of the Valley of the Wind]. Comic Box (in Japanese). Fusion Products (3): 77–137. 1982. Camp, Brian; Davis, Julie (2007). Anime Classics Zettai! : 100 Most-See Japanese Animation Masterpieces . Berkeley: Stone Bridge Press. ISBN 978-1-9333-3022-8. Chitwood, Adam (July 12, 2013). "Guillermo del Toro Talks His Favorite Kaiju Movies, Hayao Miyazaki, Why He's Not Likely to Direct a Film in an Established Franchise, and More". Collider . Complex . Archived from the original on May 22, 2017. Retrieved May 22, 2017. Collin, Robbie (August 2, 2013). "Studio Ghibli: Japan's dream factory". The Telegraph . Telegraph Media Group. Archived from the original on March 25, 2017. Retrieved March 25, 2017. Cotillon, Laurent (January 2005). "A talk between Hayao Miyazaki and Moebius". Ciné Live . Cyber Press Publishing (86). Archived from the original on May 22, 2017. Denham, Jess (June 7, 2016). "Studio Ghibli hires male directors because they have a 'more idealistic' approach to fantasy than women". The Independent . Archived from the original on June 4, 2017. Retrieved June 5, 2017. Dietz, Jason (January 3, 2010). "Critics Pick the Best Movies of the Decade". Metacritic . CBS Interactive. Archived from the original on March 24, 2017. Retrieved March 24, 2017. Drazen, Patrick (January 1, 2002). Anime Explosion! . Berkeley: Stone Bridge Press. ISBN 978-1-611720-13-6. Ebert, Roger (October 24, 1999). "Director Miyazaki draws American attention". Chicago Sun-Times . Sun-Times Media Group. Archived from the original on 2017-03-18. Retrieved March 19, 2017. Ebert, Roger (September 12, 2002). "Hayao Miyazaki interview". RogerEbert.com. Ebert Digital. Archived from the original on May 22, 2017. Retrieved May 22, 2017. Foundas, Scott (August 29, 2013). "'The Wind Rises' Review: Hayao Miyazaki's Haunting Epic". Variety . Penske Media Corporation. Archived from the original on March 30, 2017. Retrieved March 31, 2017. Fujii, Moeko (July 26, 2013). "Japanese Anime Legend Miyazaki Denounces Push to Change the 'Peace Constitution'". The Wall Street Journal . Dow Jones & Company. Archived from the original on April 13, 2017. Retrieved April 13, 2017. Gaulène, Mathieu (April 4, 2011). "Studio Ghibli, A New Force in Animation". INA Global. National Audiovisual Institute. Archived from the original on March 17, 2017. Retrieved March 18, 2017. Montmayeur, Yves (2005). Ghibli: The Miyazaki Temple. Arte. "Executive Producer & Former President of Studio Ghibli Suzuki Toshio Reveals the Story Behind Ponyo". Ghibli World. 2007. Archived from the original on March 5, 2008. Retrieved March 30, 2017. "A Neppu Interview with Miyazaki Hayao". Ghibli World. November 30, 2008. Archived from the original on December 6, 2008. Retrieved May 4, 2017. Gold, Corey (July 14, 2016). "Studio Ghibli letter sheds new light on Spirited Away mysteries". RocketNews24. Socio Corporation. Archived from the original on March 24, 2017. Retrieved March 24, 2017. Green, Scott (March 11, 2014). ""The Wind Rises" Takes Animation Prize at Japan Academy Awards". Crunchyroll . Ellation. Archived from the original on March 30, 2017. Retrieved March 31, 2017. Hamessley, London; London, Matt (July 8, 2010). "Interview: Michael Dante DiMartino and Bryan Konietzko, Creators of the Original Televised Avatar: The Last Airbender". Tor Books . Macmillan Publishers. Archived from the original on May 22, 2017. Retrieved May 22, 2017. Hairston, Marc (November 1998). "Kiki's Delivery Service". University of Texas at Dallas. Archived from the original on August 20, 2007. Retrieved March 18, 2017. Havis, Richard James (August 6, 2016). "Flashback: Porco Rosso – genius animator Hayao Miyazaki's most personal film". South China Morning Post . Alibaba Group. Archived from the original on March 18, 2017. Retrieved March 18, 2017. Hawkes, Rebecca (February 17, 2015). "Hayao Miyazaki: Charlie Hedbo Mohammed cartoons were 'a mistake'". The Telegraph . Telegraph Media Group. Archived from the original on April 13, 2017. Retrieved April 13, 2017. Hiranuma, G.B. "Anime and Academia: Interview with Marc Hairston on pedagogy and Nausicaa". University of Texas at Dallas. Archived from the original on March 17, 2017. Retrieved March 17, 2017. Howe, Michael (April 14, 2003). "The Making of Hayao Miyazaki's "Spirited Away" – Part 1". Jim Hill Media. Archived from the original on March 23, 2017. Retrieved March 24, 2017. Howe, Michael (April 15, 2003). "The Making of Hayao Miyazaki's "Spirited Away" – Part 2". Jim Hill Media. Archived from the original on March 24, 2017. Retrieved March 24, 2017. Howe, Michael (April 20, 2003). "The Making of Hayao Miyazaki's "Spirited Away" – Part 5". Jim Hill Media. Archived from the original on March 24, 2017. Retrieved March 24, 2017. "26th Annual Annie". Annie Award . International Animated Film Association. 1998. Archived from the original on June 3, 2017. Retrieved June 4, 2017. "Aardman exhibits, new Miyazaki anime on view". The Japan Times . Nifco. November 24, 2006. Archived from the original on September 19, 2016. Retrieved May 22, 2017. "Youth". Japanorama . Series 1. Episode 2. June 16, 2002. BBC Choice. Kanō, Seiji (2006). 宮崎駿全書[The Complete Miyazaki Hayao] (in Japanese) (2nd ed.). Tokyo: Film Art Inc. pp. 34–73, 323. ISBN 978-4-8459-0687-1. Karrfalt, Wayne (October 31, 1997). "'Mononoke' Japan's all-time b.o. champion". The Hollywood Reporter . Archived from the original on October 26, 2009. Retrieved March 19, 2017. Keegan, Rebecca (August 15, 2013). "'The Wind Rises': Hayao Miyazaki's new film stirs controversy". Los Angeles Times . Tronc. Archived from the original on March 30, 2017. Retrieved March 31, 2017. "キネマ旬報 ベスト・テン" [Kinema Junpo Best Ten] (in Japanese). Kinema Junpo Movie Database. Archived from the original on June 3, 2017. Retrieved June 4, 2017. Komatsu, Mikikazu (October 30, 2012). "Hayao Miyazaki Named Person of Cultural Merit by Japanese Government". Crunchyroll . Otter Media. Archived from the original on June 9, 2017. Retrieved June 9, 2017. Komatsu, Mikikazu (February 2, 2017). "Kinema Junpo Readers Also Pick "In This Corner of the World" as Best Japanese Film of 2016". Crunchyroll . Otter Media. Archived from the original on June 3, 2017. Retrieved June 4, 2017. Lamar, Cyrlaque (March 23, 2010). "Pigs Fly (And Shoot Guns) In Rare Hayao Miyazaki Manga". io9 . Gawker Media. Archived from the original on March 17, 2017. Retrieved March 18, 2017. LaMarre, Thomas (October 30, 2009). The Anime Machine: A Media Theory of Animation. Minneapolis: University of Minnesota Press. ISBN 978-0-816651-55-9. Landreth, Jonathan (January 30, 2009). "Japanese films soar at home in 2008". The Hollywood Reporter . Eldridge Industries. Archived from the original on March 30, 2017. Retrieved March 31, 2017. Le Guin, Ursula K. (2006). "Gedo Senki, a First Response". Archived from the original on March 25, 2017. Retrieved March 25, 2017. Lee, Michael J. (October 24, 2010). "An Exclusive Interview with Glen Keane". RadioFree.com. Archived from the original on May 22, 2017. Retrieved May 22, 2017. Loy, David; Goodhew, Linda (February 2004). "The Dharma of Miyazaki Hayao: Revenge vs. Compassion in Nausicaa and Mononoke". 文教大学国際学部紀要 Journal of the Faculty of International Studies. Bunkyo University. 14 (2): 67–75. Ma, Kevin (January 1, 2014). "The Wind Rises tops 2013 Japan B.O." Film Business Asia . Archived from the original on January 2, 2014. Retrieved March 31, 2017. Macdonald, Christopher (July 30, 2014). 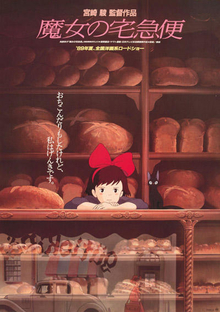 "Today in History: Kiki's Delivery Service". Anime News Network. Archived from the original on March 17, 2017. Retrieved March 18, 2017. Mahmood, Zahid (April 6, 2018). "Anime film director Isao Takahata dies at 82". CNN . Turner Broadcasting System. Archived from the original on April 28, 2018. Retrieved April 28, 2018. "毎日映画コンクール 第56回（2001年）" [Everyday Movie Competition No. 56 (2001)]. Mainichi Shimbun (in Japanese). 2001. Archived from the original on June 3, 2017. Retrieved June 4, 2017. Matsutani, Minoru (September 30, 2008). "Japan's greatest film director?". The Japan Times . Nifco. Archived from the original on January 1, 2016. Retrieved March 18, 2017. Hayao Miyazaki on Trump, Japan's military role and Your Name. MBS TV . Mainichi Broadcasting System. November 2016. Archived from the original on July 15, 2018. Retrieved July 16, 2018. McCarthy, Helen (1999). Hayao Miyazaki: Master of Japanese Animation (2002 ed.). Berkeley: Stone Bridge Press. ISBN 978-1-8806-5641-9. McCurry, Justin (August 23, 2013). "Japanese animator under fire for film tribute to warplane designer". The Guardian . Guardian Media Group. Archived from the original on April 13, 2017. Retrieved April 13, 2017. Mes, Tom (January 7, 2002). "Hayao Miyazaki". Midnight Eye. Archived from the original on May 22, 2017. Retrieved May 23, 2017. Miyazaki, Gorō (February 24, 2006). "Goro Miyazaki's Blog Translation". Nausicaa.net. p. 41. Archived from the original on April 3, 2017. Retrieved April 3, 2017. Miyazaki, Hayao (May 10, 1983). "シュナの旅 あとがき" [The Journey of Shuna Afterword]. Tokuma Shoten. p. 147. Archived from the original on March 17, 2017. Retrieved March 18, 2017. Miyazaki, Hayao (May 22, 1988). Takeuchi, Masatoshi (ed.). "The Animation of Hayao Miyazaki, Isao Takahata and Studio Ghibli". Kinema Junpo (in Japanese). Tokyo: Kinema Junpo (published July 16, 1995) (1166): 57–58. Miyazaki, Hayao (1996). Starting Point, 1979–1996. Translated by Cary, Beth; Schodt, Frederik L. (2009 ed.). San Francisco: Viz Media. ISBN 978-1-4215-0594-7. Miyazaki, Hayao (August 25, 2002). Lu, Alvin (ed.). The Art of Spirited Away. San Francisco: Viz Media. ISBN 978-1-5693-1777-8. Miyazaki, Hayao (May 9, 2006). The Art of Kiki's Delivery Service. San Francisco: Viz Media. ISBN 978-1-4215-0593-0. Miyazaki, Hayao (November 6, 2007). The Art of Nausicaä of the Valley of the Wind: Watercolor Impressions by Hayao Miyazaki. San Francisco: Viz Media. ISBN 978-1-4215-1499-4. Miyazaki, Hayao (2009). Turning Point, 1997–2008. Translated by Cary, Beth; Schodt, Frederik L. (2014 ed.). San Francisco: Viz Media. ISBN 978-1-4215-6090-8. Miyazaki, Hayao (November 26, 2013). The Art of Ponyo. San Francisco: Viz Media. ISBN 978-1-4215-6602-3. Moss, Emma-Lee (July 11, 2014). "Why I'd like to be ... Nausicaä in Nausicaä of the Valley of the Wind". The Guardian . Guardian Media Group. Archived from the original on March 17, 2017. Retrieved March 17, 2017. Napier, Susan J. (1998). "Vampires, Psychic Girls, Flying Women and Sailor Scouts: Four faces of the young female in Japanese popular culture". In Martinez, Dolores P. (ed.). The Worlds of Japanese Popular Culture: Gender, Shifting Boundaries and Global Cultures. Cambridge: Cambridge University Press. pp. 91–109. ISBN 978-0-5216-3128-0. Nakamura, Darren (June 10, 2014). "Ori and the Blind Forest is a beautiful metroidvania". Destructoid . ModernMethod. Archived from the original on May 22, 2017. Retrieved May 22, 2017. Nakamura, Karen; Matsuo, Hisako (November 17, 2002). "Female masculinity and fantasy spaces". In Roberson, James E.; Suzuki, Nobue (eds.). Men and Masculinities in Contemporary Japan: Dislocating the Salaryman Doxa. Abingdon-on-Thames: Routledge. pp. 58–76. ISBN 978-0-4152-7147-9. "Other Films". Nausicaa.net. Archived from the original on March 24, 2017. Retrieved March 24, 2017. "Hayao Miyazaki Biography Revision 2 (6/24/94)". Nausicaa.net. June 24, 1994. Archived from the original on March 13, 2017. Retrieved March 13, 2017. The Wind Rises Visual Guide. Newtype (in Japanese). Chiyoda: Kadokawa Shoten. July 20, 2011. ISBN 978-4-0411-0510-8. "Developer Interview Part I – Legend of Zelda: The Wind Waker". Nintendo. 2002. Archived from the original on December 20, 2002. Retrieved May 22, 2017. Osaki, Tomohiro (September 6, 2013). "Miyazaki vows he won't be idle in retirement". The Japan Times . Nifco. Archived from the original on January 21, 2016. Retrieved March 24, 2017. Osmond, Andrew (Spring 1998). "Nausicaä and the Fantasy of Hayao Miyazaki". Foundation . England: Science Fiction Foundation (72): 57–81. Archived from the original on March 17, 2017. Retrieved March 17, 2017. Pham, Alex (July 25, 2009). "Miyazaki breaks his silent protest of America". Los Angeles Times . Tronc. Archived from the original on April 13, 2017. Retrieved April 13, 2017. Poland, David (November 4, 1999). "Hayao Miyazake Chat Transcript". Rough Cut. TNT. Archived from the original on January 23, 2000. Retrieved May 22, 2017. Reider, Noriko T (March 2005). "Spirited Away: Film of the Fantastic and Evolving Japanese Folk Symbols". Film Criticism. Meadville: Michigan Publishing. 29 (3): 4–27. Reinders, Eric (October 14, 2016). The Moral Narratives of Hayao Miyazaki. Jefferson, NC: McFarland & Company. ISBN 978-1-4766-6452-1. Rogers, Tim (March 27, 2006). "In Defense of Final Fantasy XII". Next Generation . Future US. p. 2. Archived from the original on April 7, 2006. Retrieved May 22, 2017. Romano, Andrew (November 15, 2013). "Hayao Miyazaki's 'The Wind Rises': An Anime Icon Bows Out". The Daily Beast . IAC. Archived from the original on April 13, 2017. Retrieved April 13, 2017. Ryan, Scott. "Nausicaa Manga Comparison". Nausicaa.net. Archived from the original on March 17, 2017. Retrieved March 17, 2017. Sacks, Ethan (August 7, 2009). "Hayao Mitazaki's 'Ponyo' is animation the old fashioned way". New York Daily News . Mortimer Zuckerman. Archived from the original on March 30, 2017. Retrieved March 30, 2017. Saitani, Ryo (1995). 少し前よりもナウシカの事少しわかるようになった[I Understand NAUSICAÄ a Bit More than I Did a Little While Ago]. Comic Box (in Japanese). Fusion Products (98): 6–37. Schellhase, Peter (November 7, 2014). "The Conservative Vision of Hayao Miyazaki". The Imaginative Conservative. Archived from the original on April 13, 2017. Retrieved April 13, 2017. Schilling, Mike (December 17, 2002). "New Hayao Miyazaki film heads Toho line-up". Screen Daily . Media Business Insight. Archived from the original on August 17, 2003. Retrieved March 24, 2017. Schilling, Mark (December 4, 2008). "An audience with Miyazaki, Japan's animation king". The Japan Times . Nifco. Archived from the original on October 11, 2016. Retrieved May 4, 2017. Schilling, Mark (February 20, 2009). "Miyazaki's 'Ponyo' tops anime awards". Variety . Penske Media Corporation. Archived from the original on June 3, 2017. Retrieved June 4, 2009. Sudo, Yoko (June 4, 2014). "'Frozen' Ranks as Third-Biggest Hit in Japan". The Wall Street Journal . Dow Jones & Company. Archived from the original on March 24, 2017. Retrieved March 24, 2017. Sunada, Mami (director) (November 16, 2013). The Kingdom of Dreams and Madness (in Japanese). Japan: Dwango. Talbot, Margaret (January 17, 2005). "The Auteur of Anime". The New Yorker . New York City: Condé Nast. 80 (43): 64–75. Tasker, Yvonne (2011). Fifty Contemporary Film Directors (Second ed.). Abingdon-on-Thames: Routledge. ISBN 978-1-1369-1946-6. The Birth of Studio Ghibli. Walt Disney Studios Home Entertainment. 2005. "Miyazaki wins Annie Award for 'Kaze Tachinu' screenplay". The Japan Times . Nifco. February 2, 2014. Archived from the original on September 17, 2014. Retrieved June 4, 2017. Toscano, Michael (August 18, 2014). "Bearing New Images". Curator. Archived from the original on May 6, 2017. Retrieved May 6, 2017. Toyama, Ryoko. "FAQ – Princess Mononoke". Nausicaa.net. Archived from the original on March 18, 2017. Retrieved March 19, 2017. Toyama, Ryoko (May 2001). "Interview; Miyazaki on Sen to Chihiro no Kamikakushi". Nausicaa.net. Archived from the original on March 23, 2017. Retrieved March 24, 2017. "Ponyo (8+)". Transilvania International Film Festival. Archived from the original on June 3, 2017. Retrieved June 4, 2017. Wellham, Melissa (November 28, 2016). "'Your Name' + 5 Oscar nominated Japanese anime films". Special Broadcasting Service. Archived from the original on March 24, 2017. Retrieved March 24, 2017. 宮崎駿監督最新作「崖の上のポニョ」イラスト独占入手. Yomiuri Shimbun (in Japanese). Yomiuri Group. March 6, 2008. Archived from the original on August 4, 2008. Retrieved March 30, 2017. Yoshida, Reiji (July 13, 2015). "Famed director Miyazaki calls Abe's move to revise Constitution 'despicable'". The Japan Times . Nifco. Retrieved April 13, 2017.